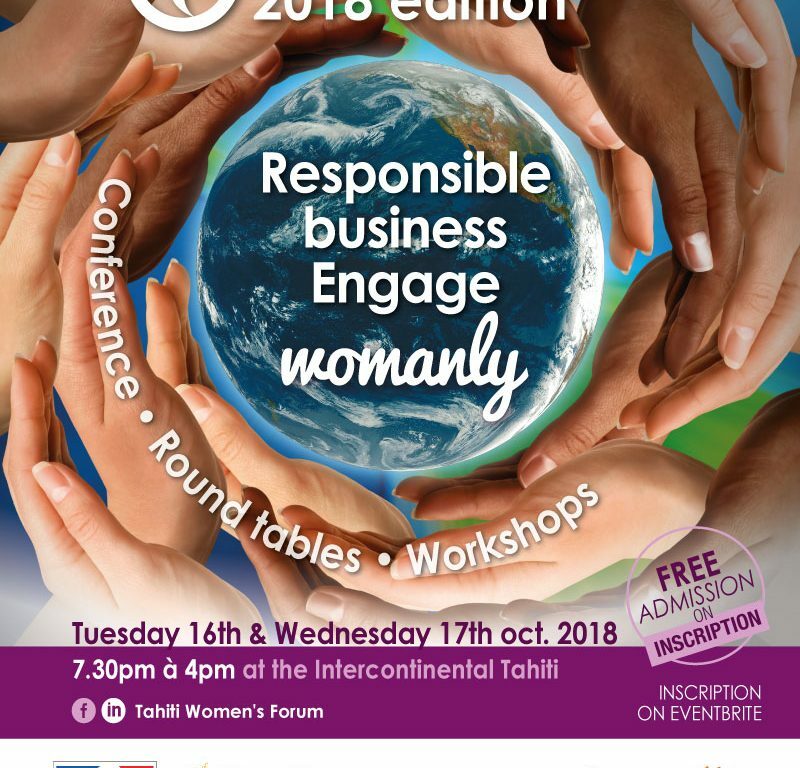 The Tahiti Women’s Forum will celebrate its come back next month. Extended to two days, the 16th and 17th of October, it will address responsible business. As everyone knows, the Pacific islands are one of the most venerable area in the world in terms on climate change. And women are the first population facing this issue. « It’s too late to be pessimistic », the famous French photographer and moviemaker, Yann Arthus Bertrand recently said. In other words, action is the one way to struggle against climate change. One of the women’s path to resilience in the Pacific islands is entrepreneurship. Through round tables and workshops, the Forum will focus on these women who decided to act positively and explain how to have a positive impact in the way to run a business. The Forum will also explore intrapreneurship, the link between personal development and entrepreneurship, work/life balance and well being at work thanks innovation. Speakers from Australia, New Caledonia and New Zeland will share their view on all these topics. The Forum will also host coaching and mentoring sessions. Attendance to the event is free upon registration on Eventbrite . The organization does not cover travel and accommodation expenses. Anyhow, it remains at disposal to advise attendees on accommodations closed to the venue of the event. Next Next post: New Zealand: Vote for your bird of the year!